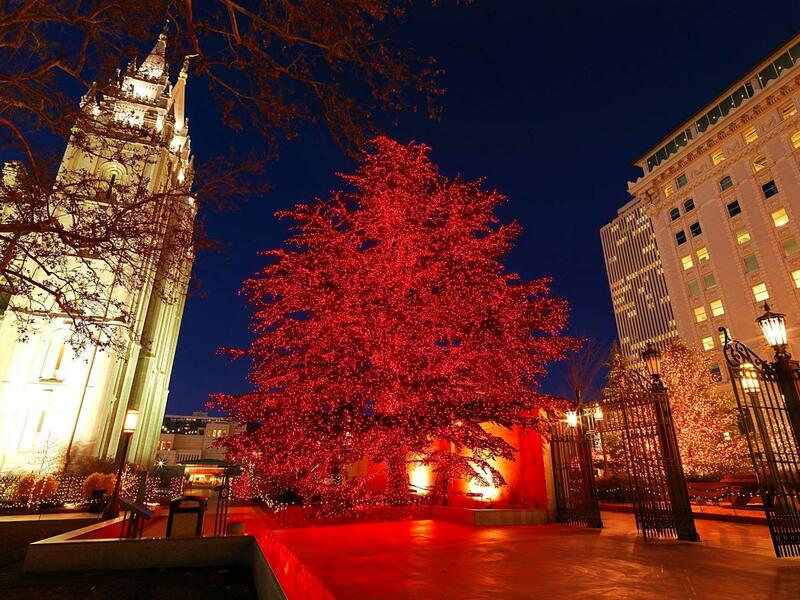 Without question, the most oooh and ahhh-worthy Christmas lights in Salt Lake are those at Temple Square, the city’s most visited attraction. 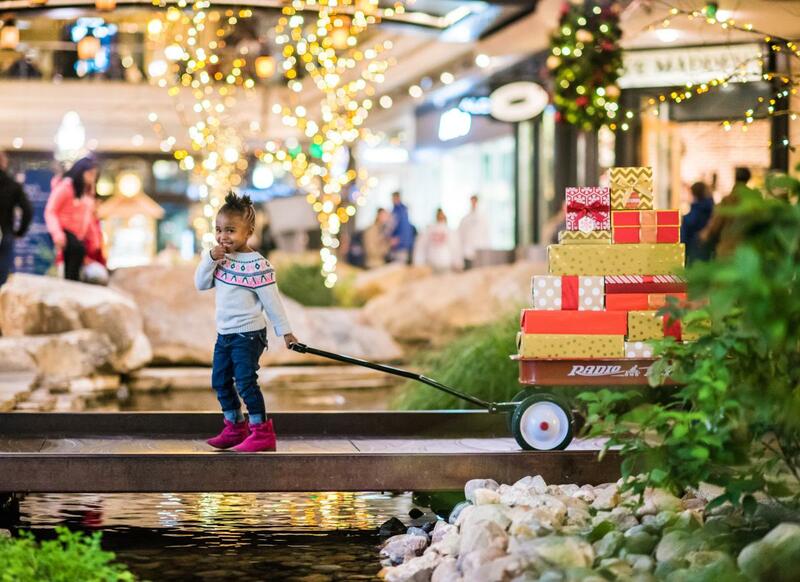 The first lighting ceremony was held in 1965, and it’s been an annual tradition ever since, with approximately one million LED lights now twinkling to life each season, all across the historic 35-acre square. 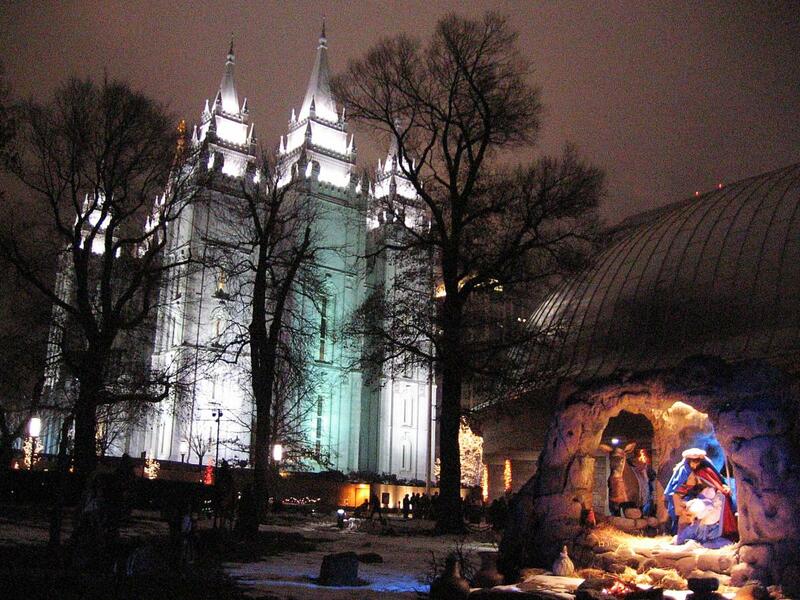 Here’s what you need to know to make the most of your visit to Temple Square during the Christmas season. 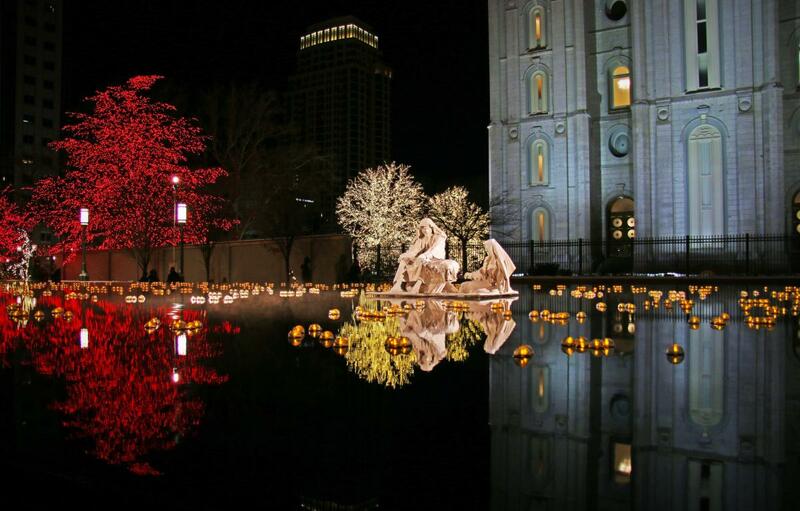 The Temple Square lights come to life the day after Thanksgiving and are lit every night until January 1. 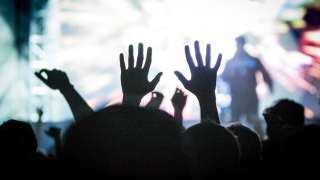 The lights turn on at 5pm and off at 10pm, with the exception of December 13–15 (the nights of the Tabernacle Choir Concerts), when they turn off at 11pm, and New Years Eve, when they turn off at 12:30am. The temple grounds are home to several life-sized sets offering different visual interpretations of the nativity. One of the most photogenic of these is the statue of Joseph, Mary, and baby Jesus in the reflecting pool. Located near the east gates of the square, this tree is over 70 feet tall and over 70 years old, and it’s truly a sight to see when festooned in nearly 75,000 lights. However, in order to prevent damage, it’s only lit every other year, and unfortunately 2018 happens to be an off year. Be sure to check out photos of last year’s splendor. Located near the center of the square, the reflection pool is decorated with Christmas lights floating inside crystal balls. The effect is unquestionably Instagram-worthy—with the right positioning and timing, you can capture the glowing orbs with the LDS temple in the background, backlit by the sunset. 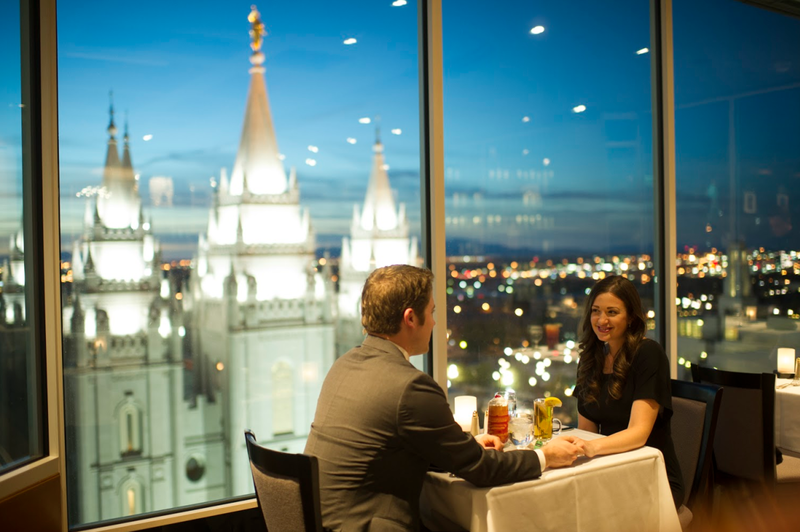 Get a birds-eye view of the Temple Square lights in the west observation wing of the Joseph Smith Memorial Building. It’s open to the public during business hours; take the elevators up to the tenth floor, take a right, and admire the Christmas-y scene below. 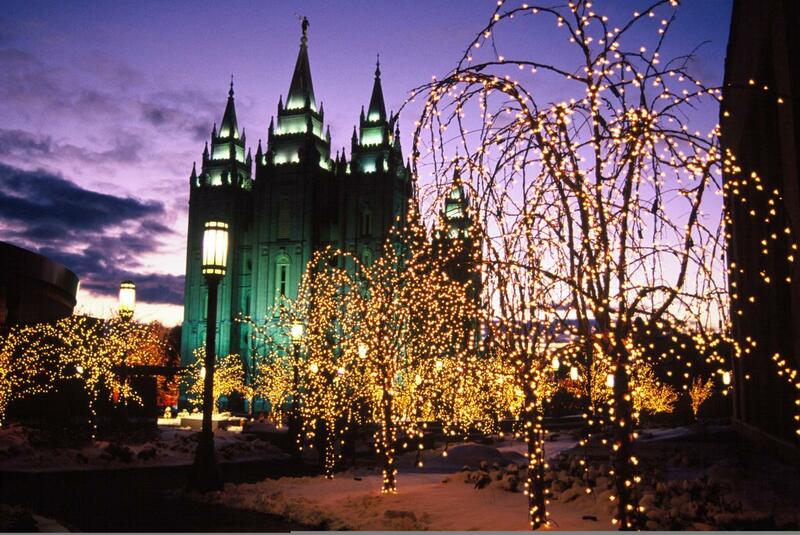 One of the most anticipated events is The Tabernacle Choir and Orchestra at Temple Square Christmas Concert. Tickets went fast this year, but consider trying the standby line prior to the performances, as standby hopefuls often wind up with seats. 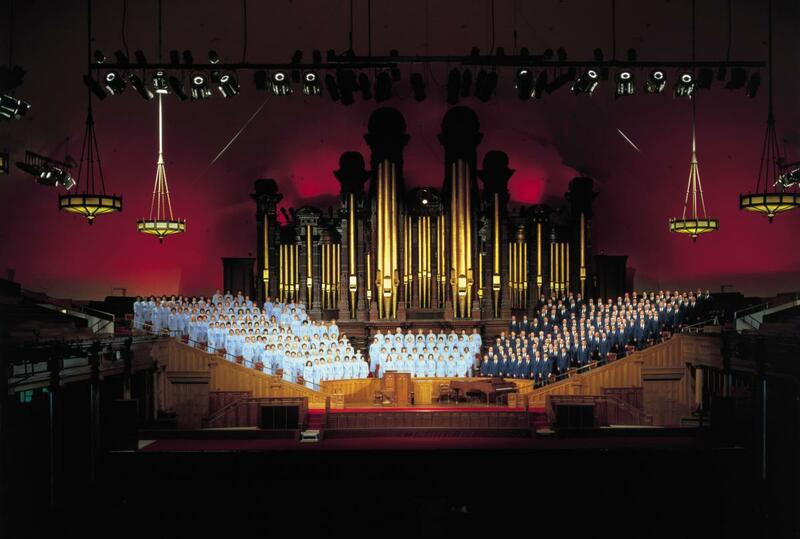 The choir will perform with the Bells on Temple Square in the Conference Center on Thursday, Friday, and Saturday, December 13–15 at 7:30 p.m.
Other popular events are the First Presidency Christmas Devotional and the musical production Savior of the World (tickets required). And if you get cold while wandering the square, there are free performances open to the public every day during the holiday season (even Sundays!) in the Assembly Hall, the Visitors Centers, the Joseph Smith Memorial Building, the Church History Museum, and the Family History Library. See the full program of daily events here. A gourmet buffet with international and traditional fare and breathtaking views of the glittering temple grounds and surrounding downtown area. Perfect for a fancy date night or a special occasion. 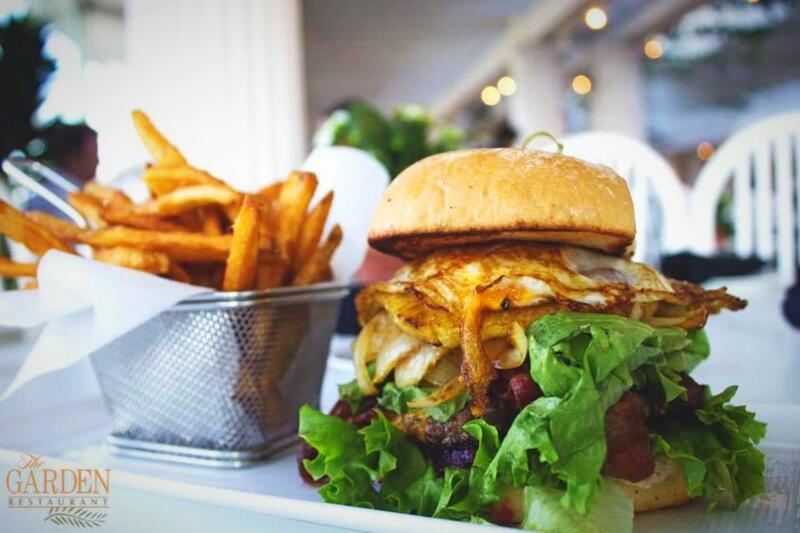 A modern American bistro with fountains, plentiful plantlife, and picturesque temple views that add to the ambiance. A cozy breakfast and lunch spot offering omelettes, hearty soups, hot sandwiches, salads, and homemade turkey pot pies. Dine in or take out. 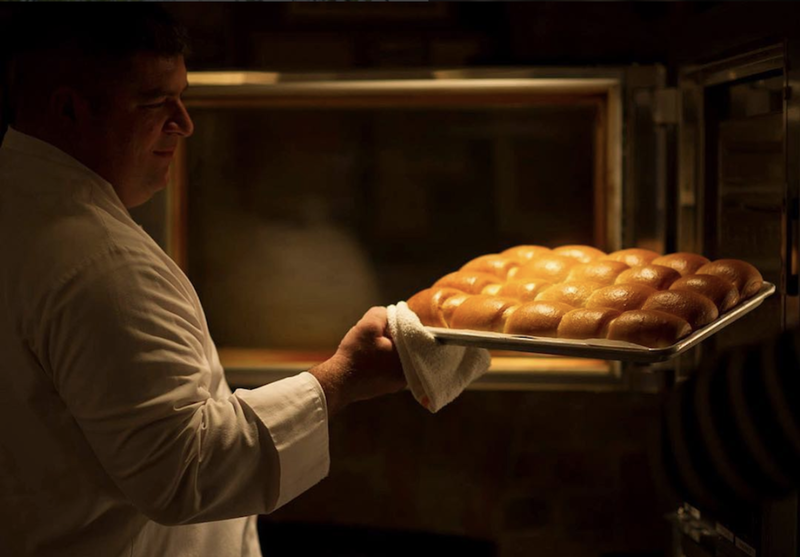 Traditional comfort food, featuring homemade yeast rolls and rotating staples such as salmon, steak, soups, and salads. 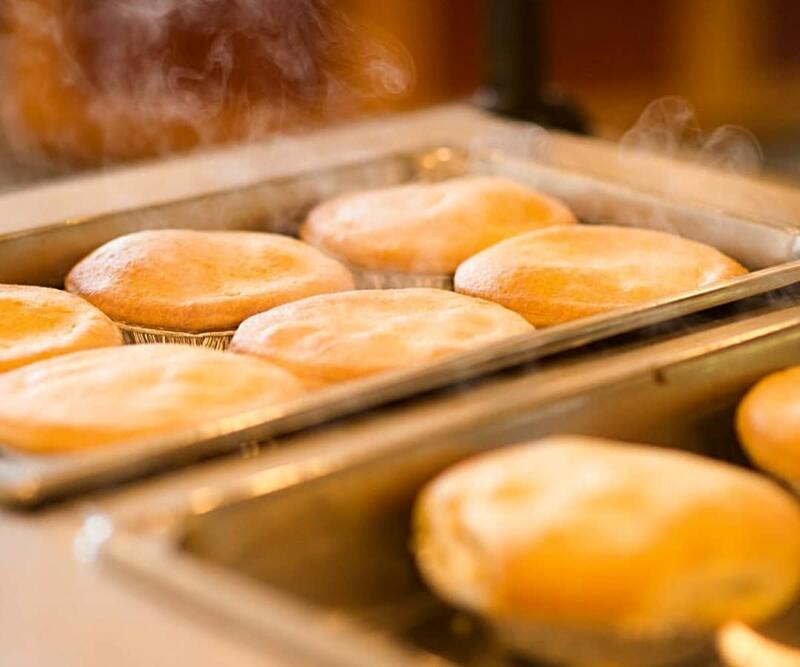 Located in the historic home of Brigham Young, founder of Salt Lake City. Downtown is alive with shoppers and Christmas-spirit-havers during December, so don’t count on street parking (though it is free during December, thanks to the city). 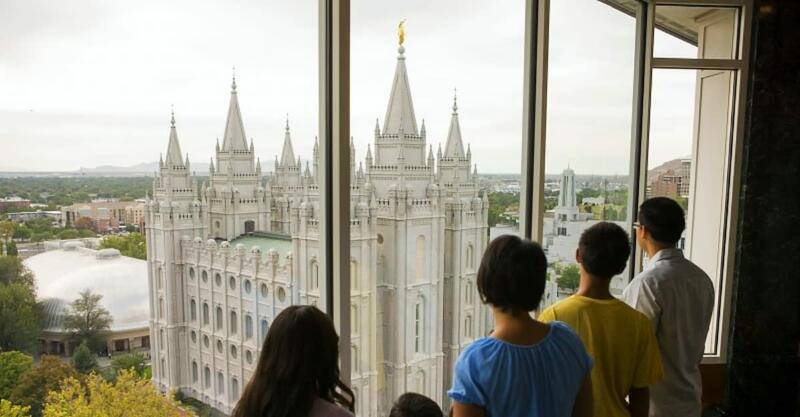 You can park at City Creek Shopping Center for two hours for free ($2/hour after that), or in the Joseph Smith Memorial Building for free with a restaurant validation. Two TRAX lines (blue and green) will take you downtown if you’d prefer to avoid the hassle of searching for a space.